For the past two weeks there has been no activity in the Eyjafjallajökull volcano. Only a small trace of smoke comes up from the crater but no ash, lava or any other material. This most likely marks the end of the eruption. 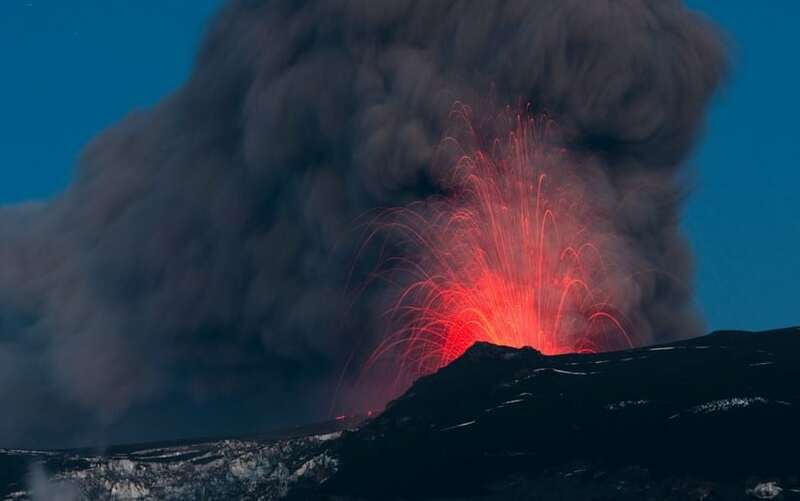 The eruption has no discernable effect on life in Iceland – apart from the small area surrounding the Eyjafjallajökull glacier. Travelling to Iceland is perfectly safe and the land of ice and fire welcomes you to enjoy adventures beyond imagination. In fact tourism-review.com recently put Iceland on the top 10 list for the safest countries in the world for tourists. The spring is busy changing Iceland into its seasonal costume of bright green and the migrant birds have returned to the North, signalling the advent of summer. Icelanders expect a great increase in geo-tourism this year, and the spanish newspaper El País, recommends Iceland as one of the best places to witness the forces of nature at work. In spite of the eruption, Iceland ranks as the cleanest country in the world according to Forbes magazine, and we look at the eruption as an ideal opportunity to further promote Iceland and encourage visitors to explore the unique nature we have to offer. Icelanders are used to the geothermal wonders of the island and have learned how to make the best of it – as a result we are among the world leaders in green energy and sustainable development. Iceland is the only western country that produces all its electricity from emission-free and sustainable natural resources in the form of geothermal and hydro power. The eruption in South Iceland that started Saturday seems to be stable, according to scientists. The eruption is located in Fimmvorduhals, a passage between two glaciers, Eyjafjallajokull and Myrdalsjokull. There are no reasons for travelers to worry about their trip to Iceland. There are some restrictions for travelling near the eruption and necessary to get information on open roads. On icelandreview.com Vídir Reynisson, divisional manager of the Civil Protection Department, said their goal is to allow tourists to travel to the area near the volcanic eruption zone on Fimmvörduháls so they can view the spectacle up close. It is difficult to predict how long the volcanic eruption will last. It could end tomorrow but it could also last for days, weeks or even months. The attendance record at Reykjavik Art Museum was broken last year when the number of museum visitors for the first time exceeded two hundred thousand, with the overall number of visitors in 2009 reaching a total of two hundred and twenty thousand. This amounts to a 20% increase between 2008 and 2009, after access to the Museum had been given free on January 1st, 2008. The attendance rate has increased steadily in recent years, and the period between January 1st 2007 until the end of 2009 shows an increase of 65%. There has also been an enormous increase in organized school visits and guests at organized family events, which amounted to 33% between 2008 and 2009. Reykjavik Art Museum is located in three buildings in Reykjavik: Hafnarhús, Kjarvalsstaðir and Ásmundarsafn. The largest part of the last year’s visitors went to Hafnarhúsið, or 63%. In 2009 there were thirty exhibitions on display at the Reykjavik Art Museum and 200 events related to the museum’s exhibitions in one way or another, or organized in cooperation with different organisations, schools, artists, musicians and other groups.